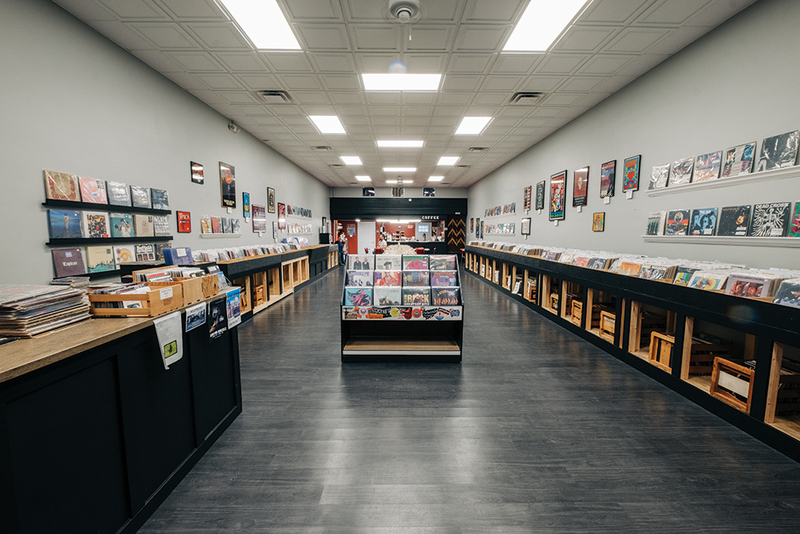 Stepping into Jet Age Records reminds you of an era when considerably more care went into crafting an album than the current here-today-gone-tomorrow digital music trends. Just inside those red doors lies a sea of records that have seen their heyday and lived to tell about it to their next listener. 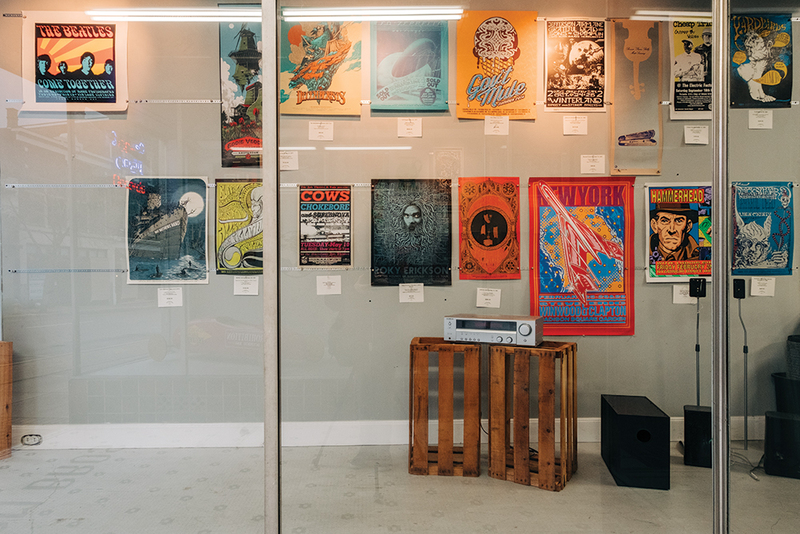 It’s a haven for music appreciators and record and vintage poster collectors, just like brothers Tom, Mike, and Kevin Schraer, who opened those doors for the first time in July 2017. Raised in Newport, the brothers have been music fans their whole lives. When they heard Monmouth’s C&D Record Bar was closing, they jumped on the opportunity to fill a newfound gap on the city’s main drag, joining a host of other new small businesses contributing to the street’s revival. 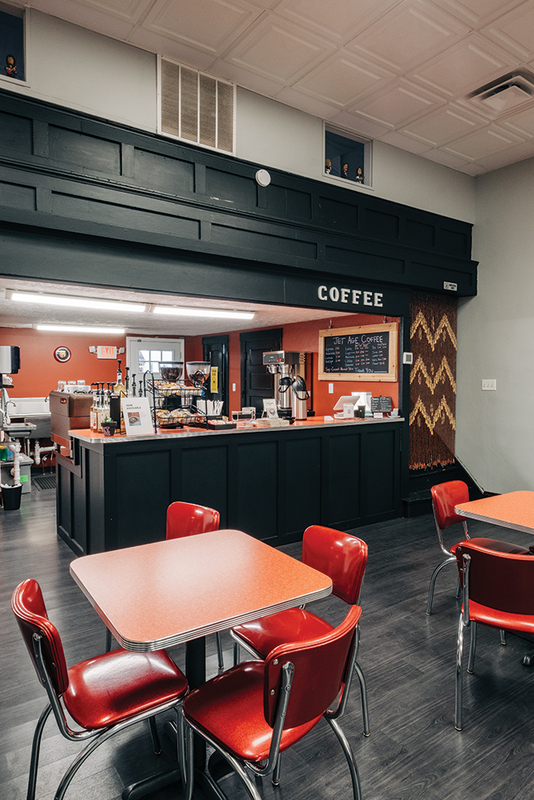 “We’d like to think we’re a part of it,” Mike says, “especially with the young, hip crowd moving in.” They hope to attract that crowd not just with their expansive collections, but also with live music events, house-brewed coffee, and espresso-based drinks with which to enjoy them. 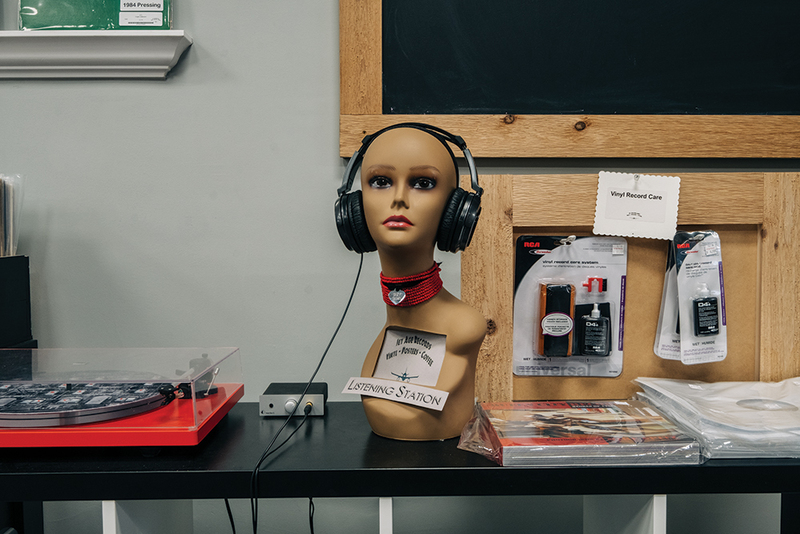 The store’s inventory spans more than 65,000 45-rpm records, thousands of 12-inch LPs, hundreds of vintage posters—many collector’s items—turntables, and audio equipment. Nearly all genres are represented, including country, rap, and dance, but rock is the “driving force,” Tom says, with classic rock, hard rock, and heavy metal representing the majority. Most of Jet Age’s posters and records are purchased secondhand, and barring damaged items, they’ll consider just about everything. Prior to sale, each record is reviewed, cleaned, and played for quality control, and then cataloged. Space is at a premium in the shop—so much so that they’ll be doubling their best-selling new arrivals section soon.